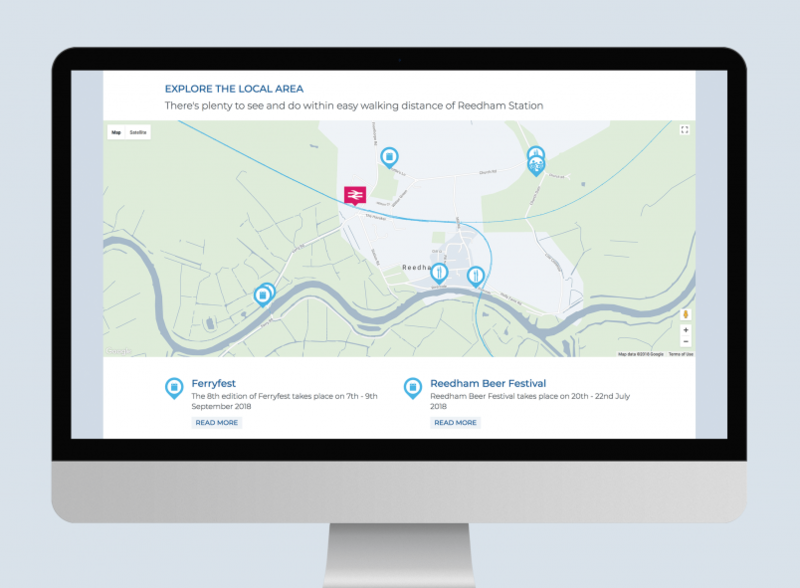 A website developed for The Wherry Lines Community Rail Partnership. 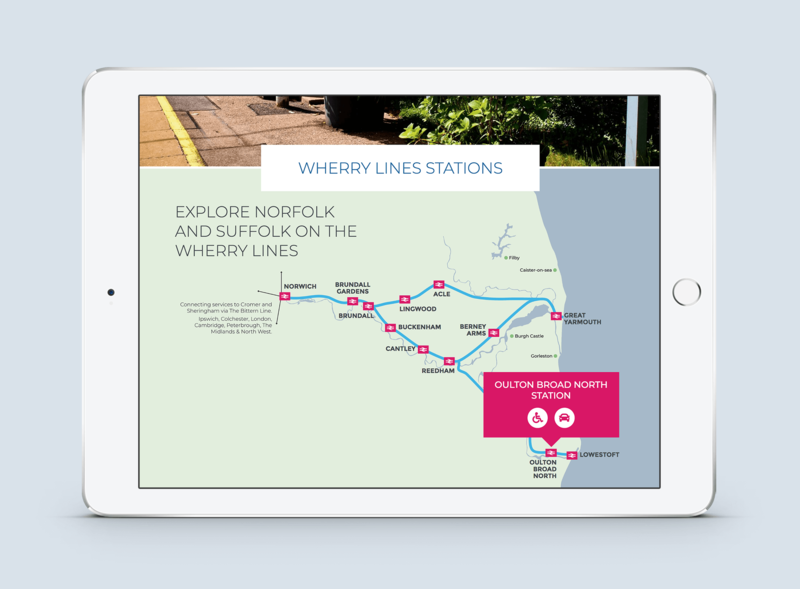 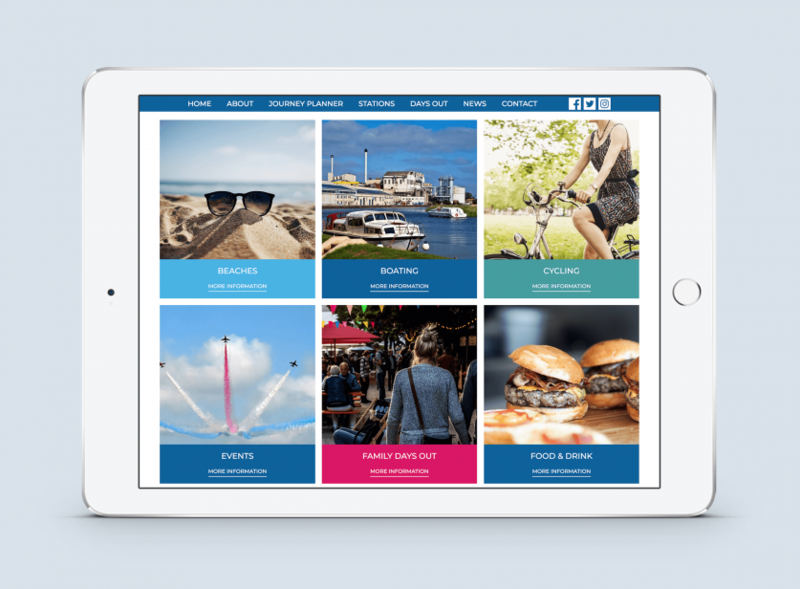 The website is designed to promote the Wherry rail lines that connects Norwich, Great Yarmouth and Lowestoft. 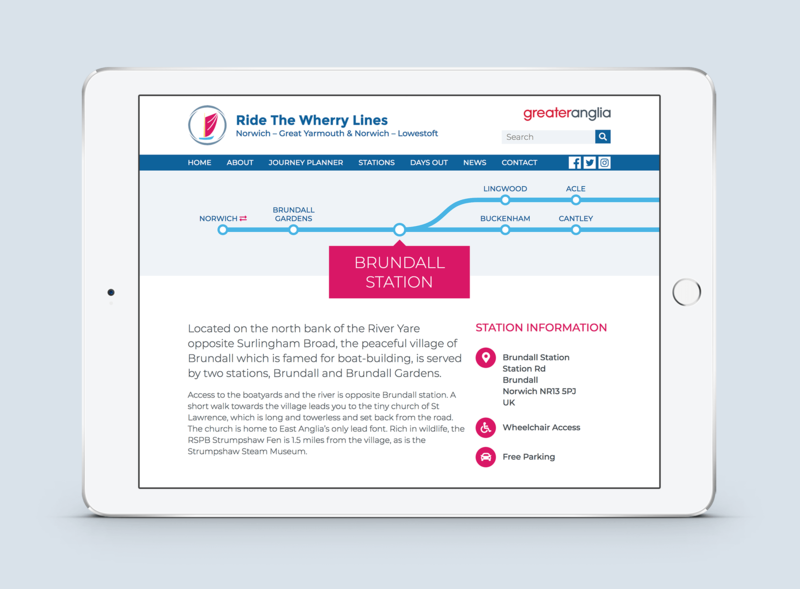 To achieve this, a custom-designed interactive line map was developed that allows visitors to navigate the stations along the line and to easily find information, local area maps and activities. 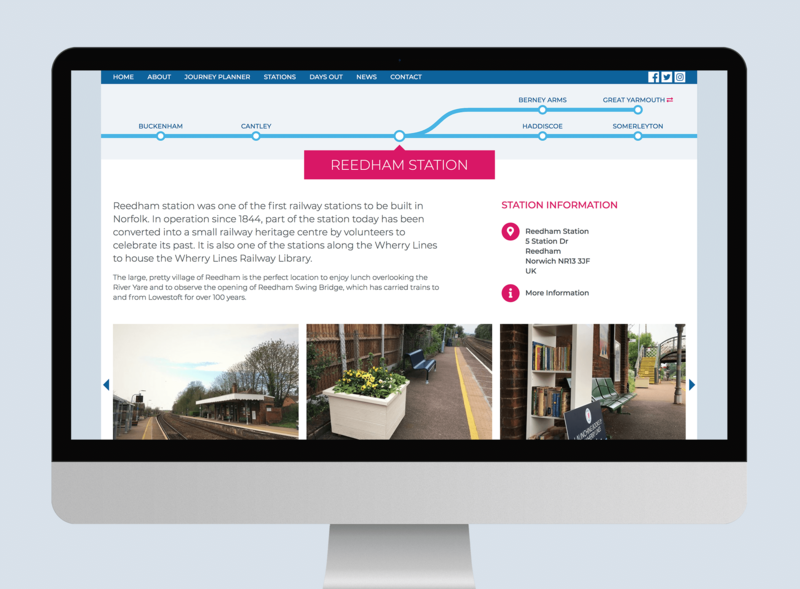 The partnership is funded by Greater Anglia with support from local councils and the Association of Community Rail Partnerships.